Inspired by the beloved story of selfless giving and unconditional love, here is a hat for the one you love, unconditionally. 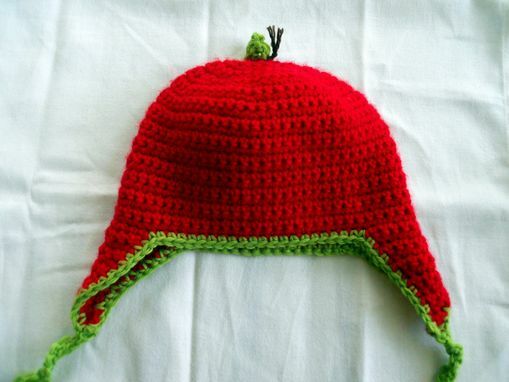 * Made from Dark Horse Fantasy Yarn in Red with lime green trim. This is a soft acrylic yarn with some give. * This hat measures 18 inches around and about 6 inches from top to brim. Show your little one some love with this apple hat!